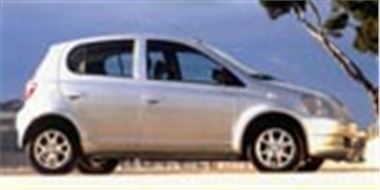 This week www.showroom4cars.com is offering the Toyota Yaris 1.0 16v VVTi GLS 5-door, with air conditioning, for just £8,699.00 on the road. That's a saving of £1,271 on UK list. warranty, and are available within 4 weeks. Colours on offer include Eclipse Black, Chilli Red, Island Green or Carlo Blue. All have Tanica Grey cloth upholstery.